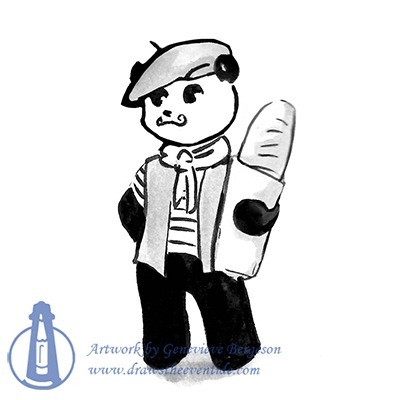 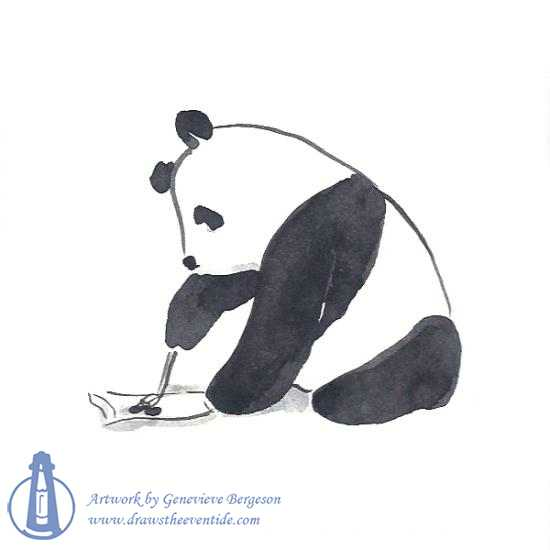 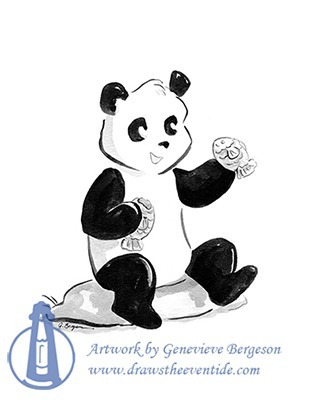 Pandagrams: They’re black and white and fun all over! 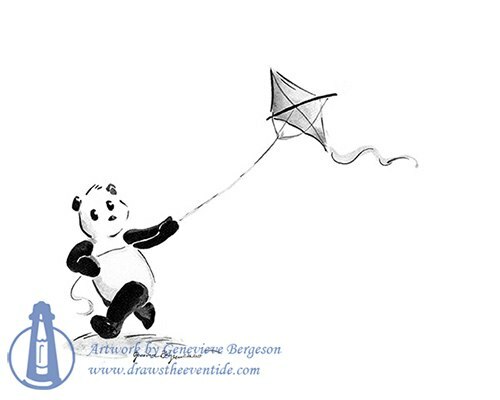 Stationery is available on the For “Sail” page. 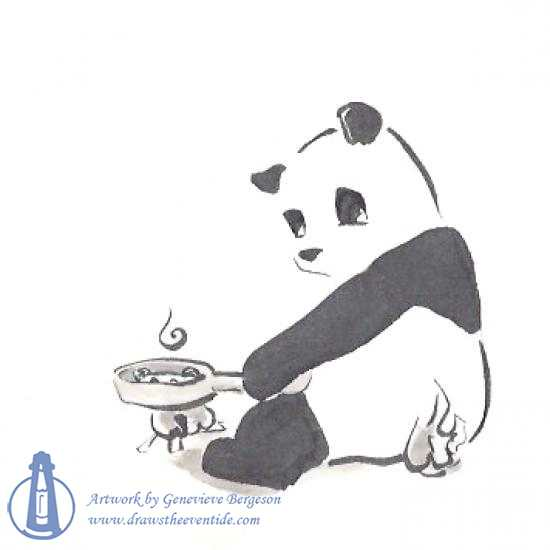 If you are interested in purchasing one of the little Pandagram paintings, I sell at conventions, please contact me. 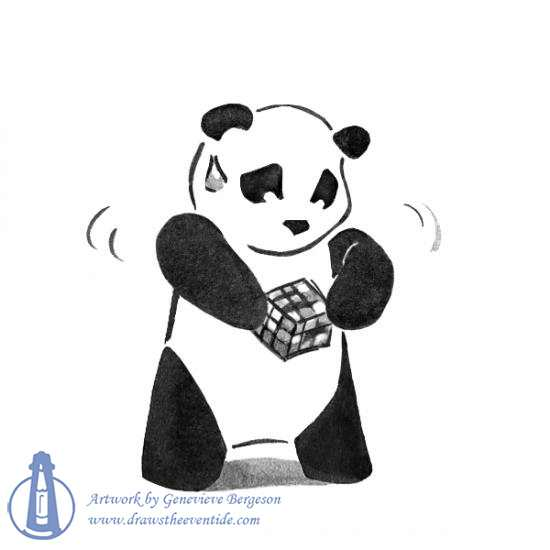 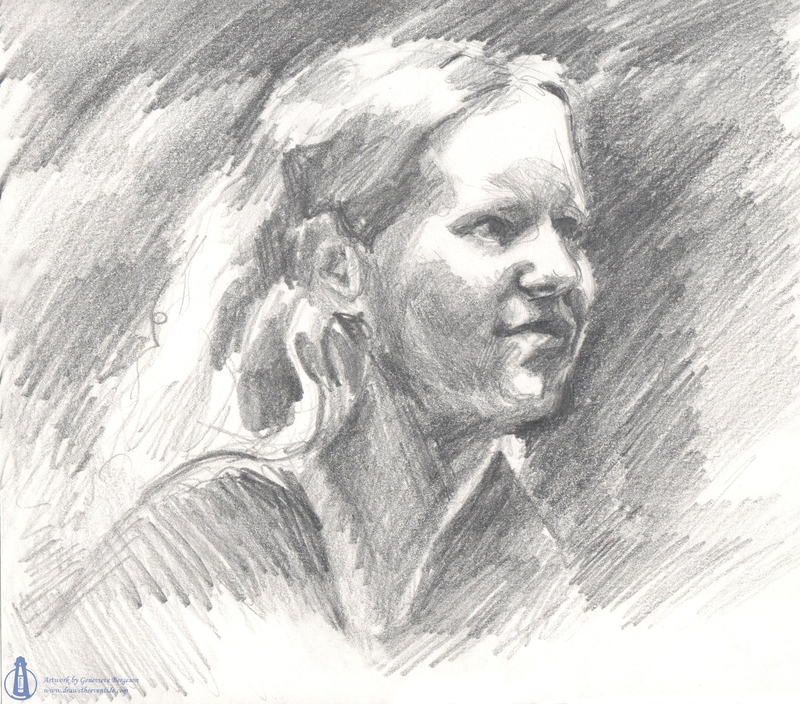 Sizes range approximately 2.5″ to 6″ square or rectangular. 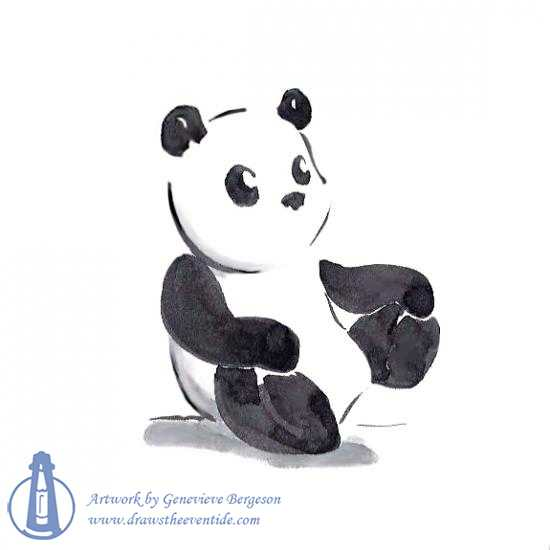 (I cannot guarantee stock/availability of all designs, but I can paint one to order.) 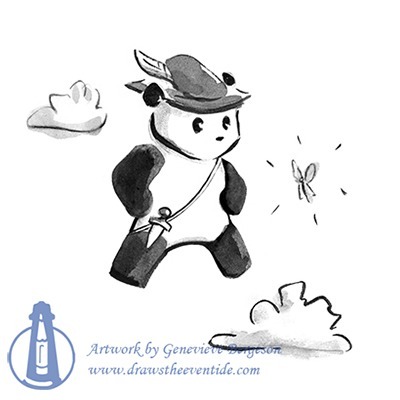 Stickers are also available for Butterfly and Pandamonium. 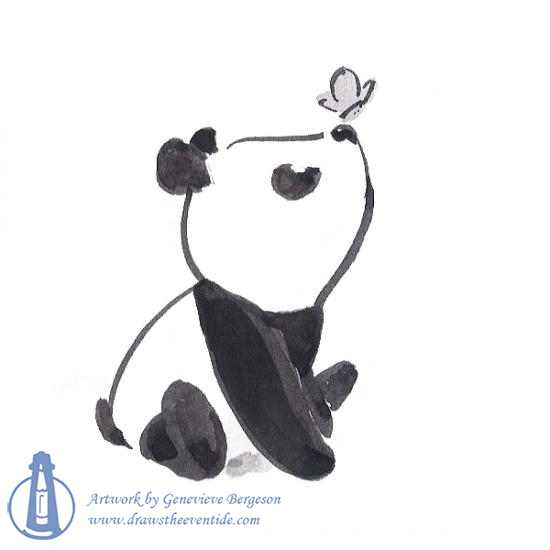 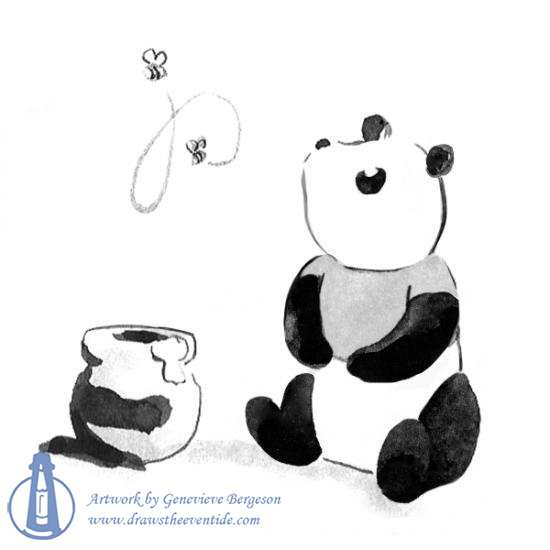 If you would like a larger ink painting–or would like to order one for someone–please contact me to commission a custom-sized Pandagram. 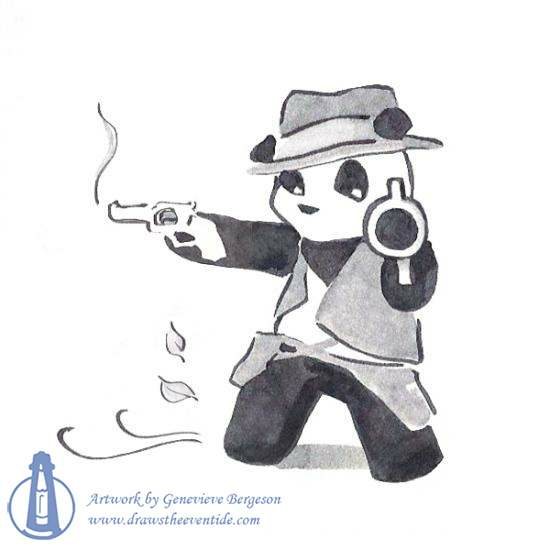 Examples of previous Pandagram commissions are at the end of the images below. 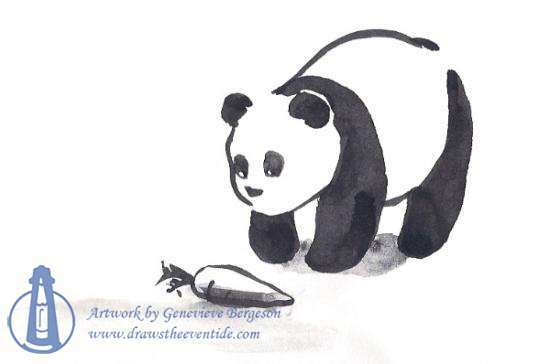 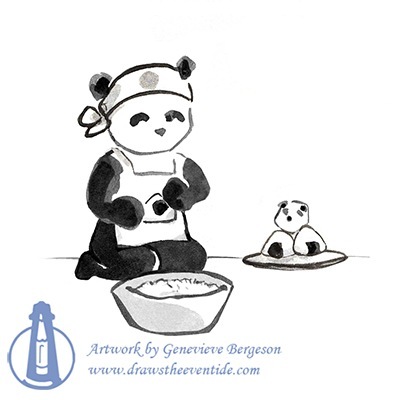 Set 1: Plainly Pandas includes Butterfly, Rocking, Calligraphy, Pandaikon, & Frying Panda. 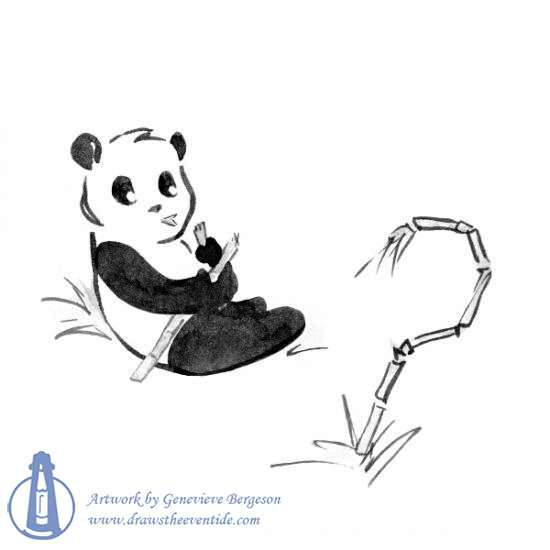 Set 2: Pensive Pandas includes Ponda, Ponderous, Pandara’s Box, Poohnda, & Bamboozled. 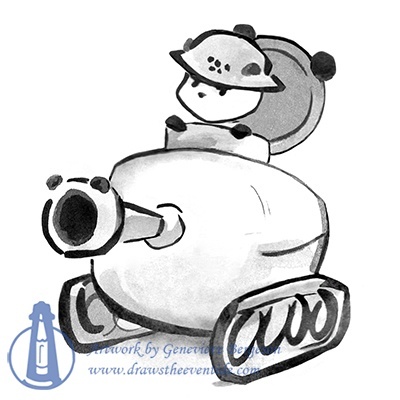 Set 3: In development. 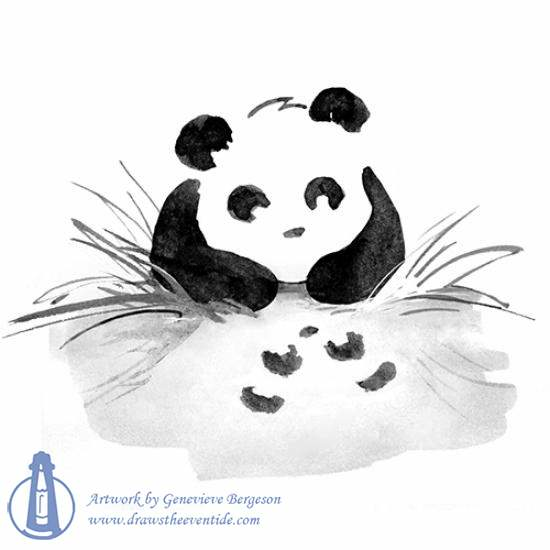 It will feature pandas from around the world, including Peter Panda (England), Japanda (Japan), and Monsieur Panda (France).